My husband and I met through Single Catholics Online (now Ave Maria Singles). After emailing and talking on the phone for several weeks, we decided to meet in person. As I was preparing for our first date, my hands shook from nervousness. I told myself, “There’s nothing to worry about. It’s just Dan.” We had gotten along great in our conversations. We already knew a lot about each other. We were friends. We were old enough to have been completely genuine with each other, rather than acting a part. What did I have to fear? If it wasn’t God’s will for our relationship to deepen, it wouldn’t happen, but I knew Dan would not reject me as a person. Most (I’ll admit–not all) of my nervousness disappeared at these thoughts. Today is an interdenominational Jericho March at a local abortion clinic in our city. This “medical facility” has been closed for about a month now for remodeling. Please join us in prayer that the doctors, nurses and staff have a change of heart. That the scales are removed from their eyes. to an innocent unborn baby and great harm to the mother. For the last 62 years, the first Thursday in May has marked the National Day of Prayer Observance designated by Congress when people are asked to turn to God in prayer and Meditation. With the help of 30,000 volunteers, there are tens of thousands of events held across the country to turn our attention to the eternal. 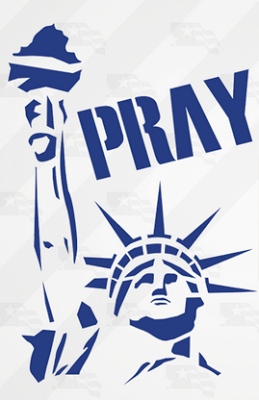 The theme for the 2013 National Day of Prayer is “Praying for America”. The organizers for the National Day of Prayer have suggested several techniques to raise our prayers to heaven. Keeping with the Praying for America theme, it is suggested that prayerful people follow a 7×7 prayer for Americas seven centers of power seven times a week. Namely, Americans are encouraged to pray for: 1) the government; 2) the military; 3) the media; 4) business; 5) education; 6) church and 7) the family. Father, we come to You to pray for our nation, the United States of America. How You have blessed us through the years, Lord! We rightly sing, “America, America, God shed His grace on thee.” Yet we see trouble in our culture today. We see the breakdown of the family, crippling addictions, and random acts of horrific violence. But May 2nd is only the beginning of the ministry to Pray for America. 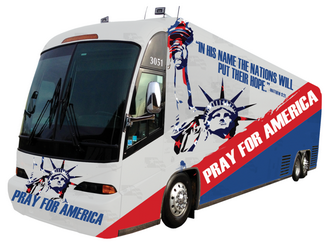 During Memorial Day weekend, the organizers will launch the first Pray for America Rally Tour, with a specially decked out bus to promote fervent prayer in the communities where they will visit. 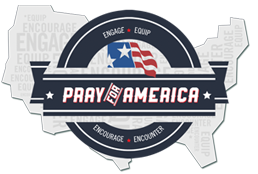 As an outreach to social media, the organizers of the National Day of Prayer are highlighting a video by Santus Real “Pray”. In trying times like this, we need all the prayer that we can get. 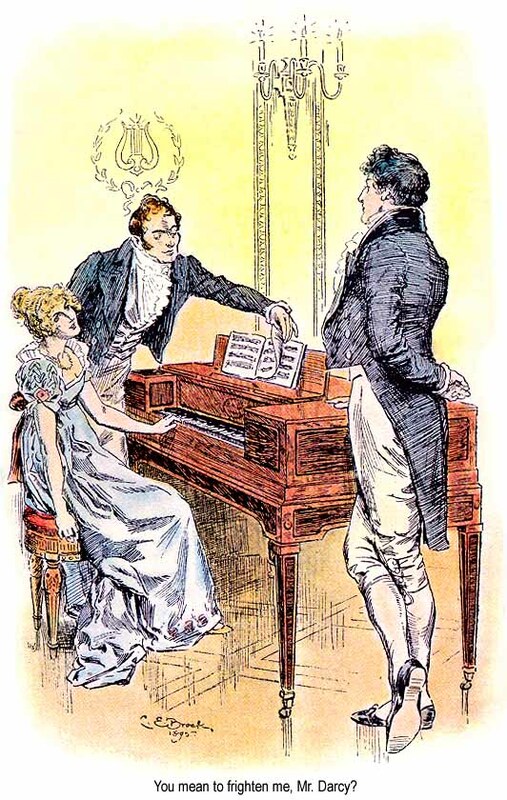 Why use a homily–not a sermon–format for homeschooling? 1. Homilies promote meditation on Sacred Scripture. The Contemplative Homeschool is all about teaching our children to put prayer at the top of their priorities. It encourages a prayerful attitude and teaches methods of prayer, especially Christian meditation. As one blog commenter said, meditating on Scripture is like preaching a homily to oneself. My boys are forming the habit of looking for ways to connect Bible passages with their lives. I believe this will make it easier for them to create their own meditations as they grow older. Read my other 4 reasons. I’ll never forget one trip to the confessional at this period of my life. 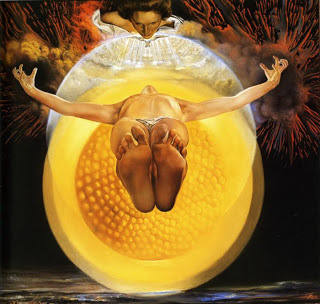 I don’t remember what I said to the priest–certainly no specifics about my prayer method–but his advice astonished me. He said I should just sit and let God love me–the very thing I had felt inspired to do. If you are too emotionally drained to pray, try this method.